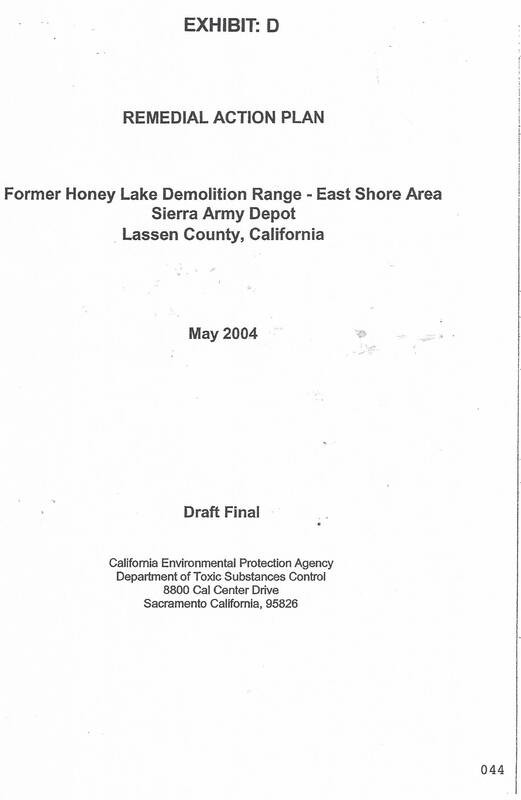 On November 28, 2000, the Lassen County Board of Supervisors agreed to take 4788 acres of surplus Army land in Herlong. The Army owns the airport. 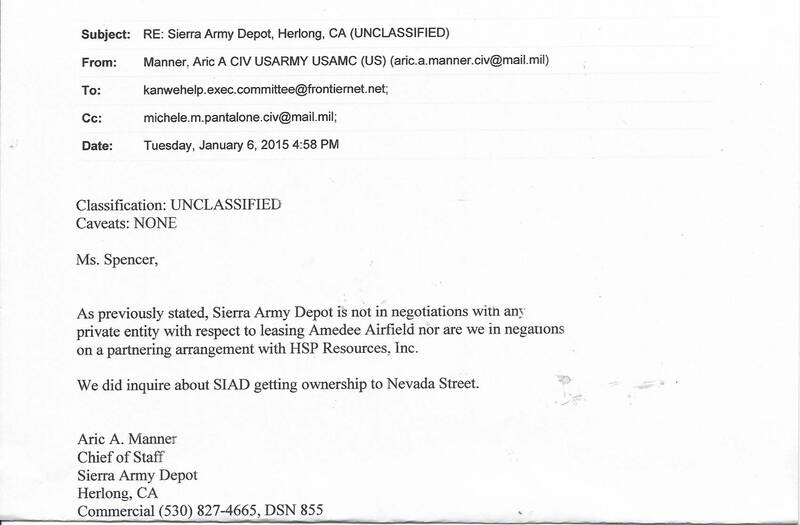 The Army can only sell or transfer the airfield to a Federal entity. 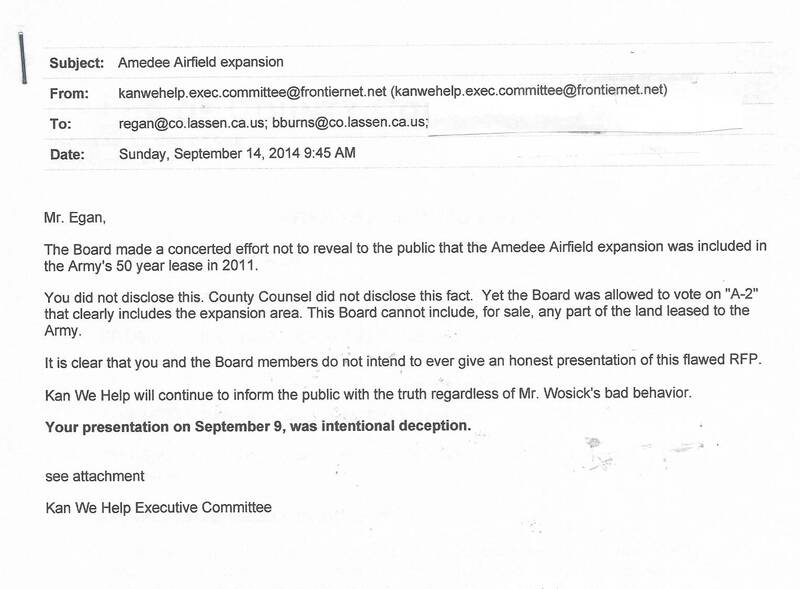 Supervisor Hammond has been pushing un-naturally hard to sell this land. 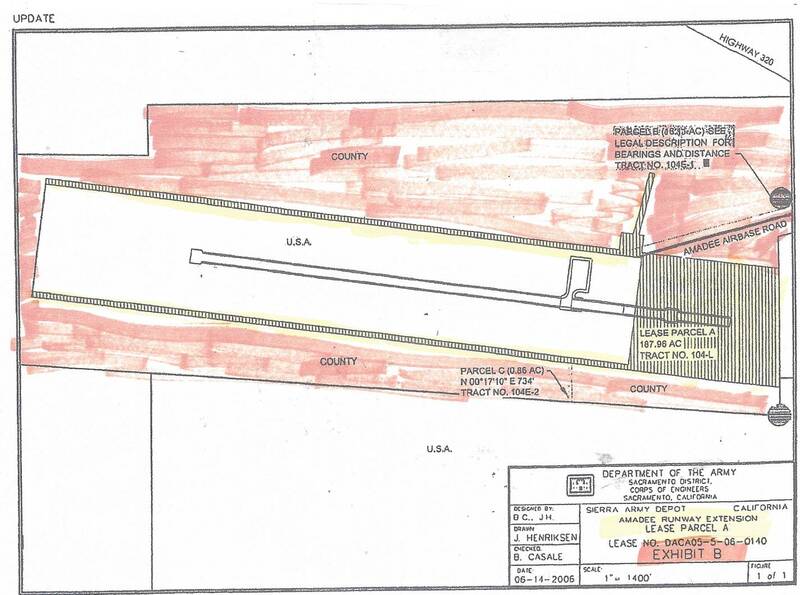 "The California Department of Transportation Division of Aeronautics staff recently confirmed that an airport Land Use Compatibility Plan (ALUCP) is required for the Amedee Airstrip. 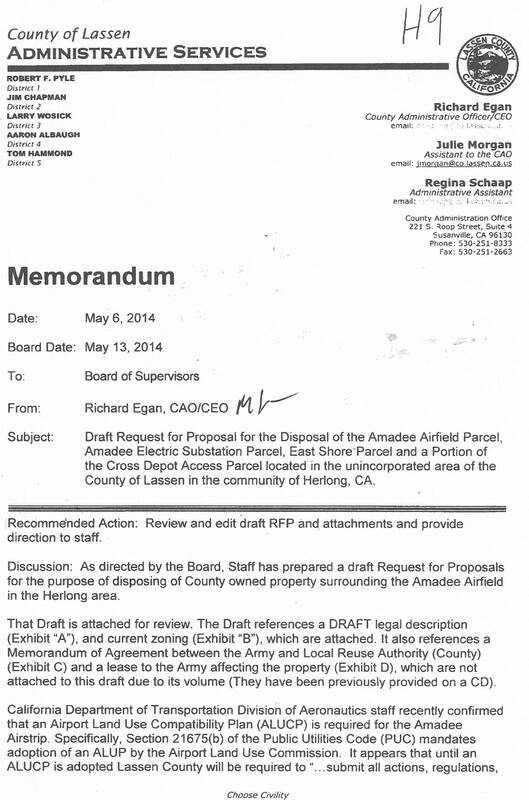 The Supervisors approved the Plan to be ordered and are still discussing whether they need it or not ? 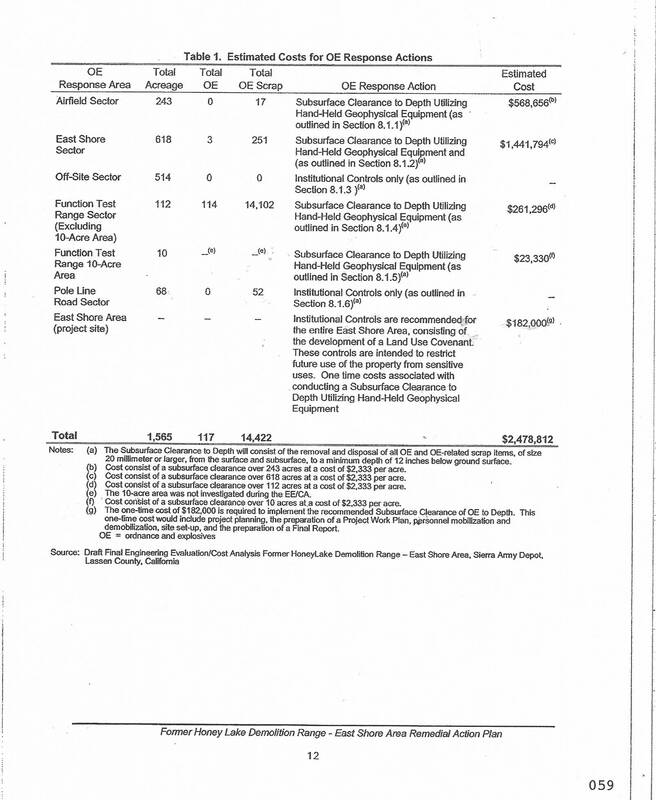 The Lassen County Supervisors intend to market these parcels in the most recent RFP. 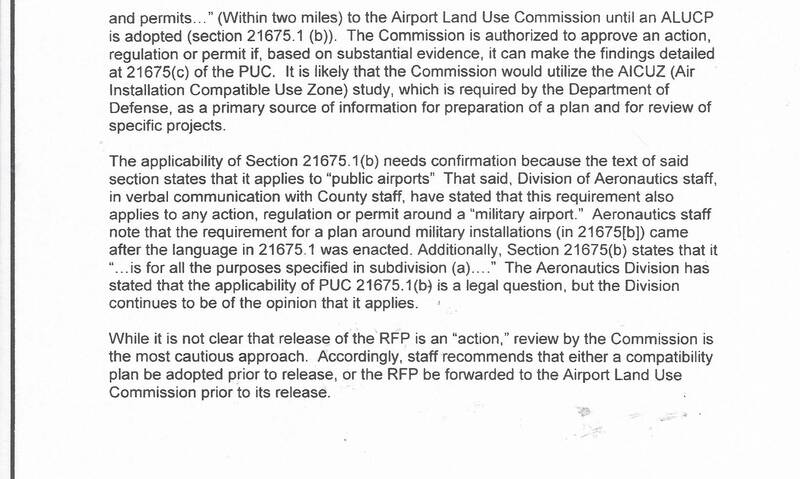 Let's just focus first on Parcel 133-080-60-11.
states the County cannot sell any part of the airfield. 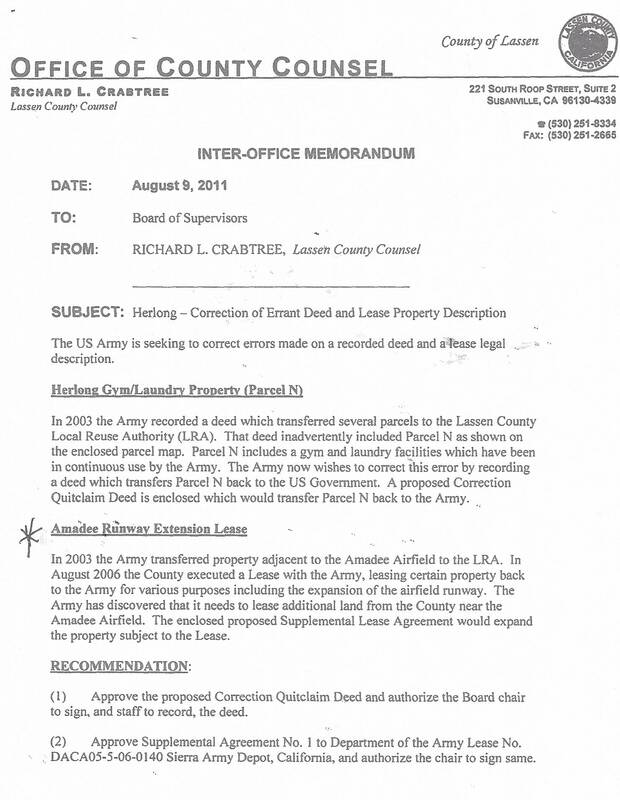 You will notice that the County's 50 year Lease Agreement with the Army is marked in the vertical stripes. 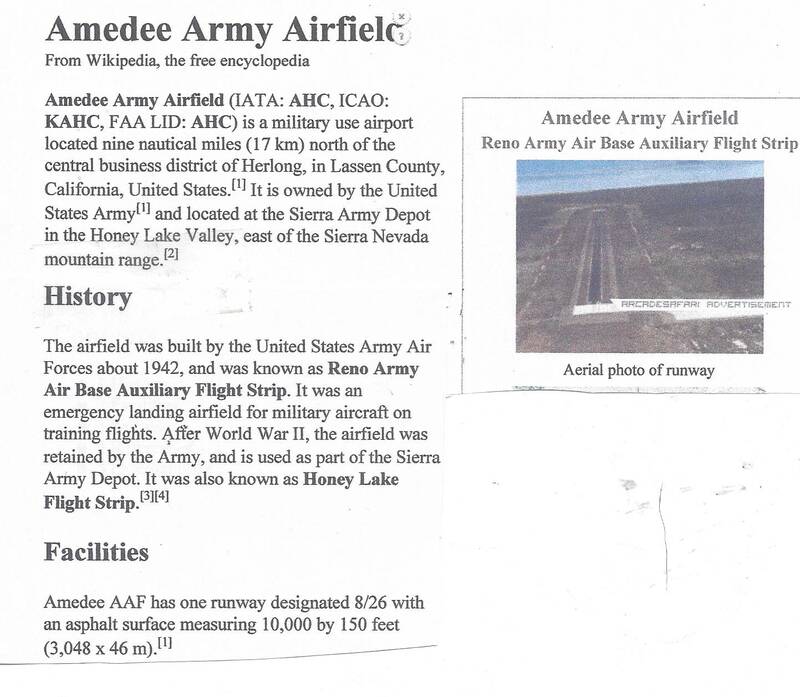 "THE DISPOSAL OF THE AIRFIELD"
Lassen County owns property within the two mile "vicinity" of Amedee Army Airfield. 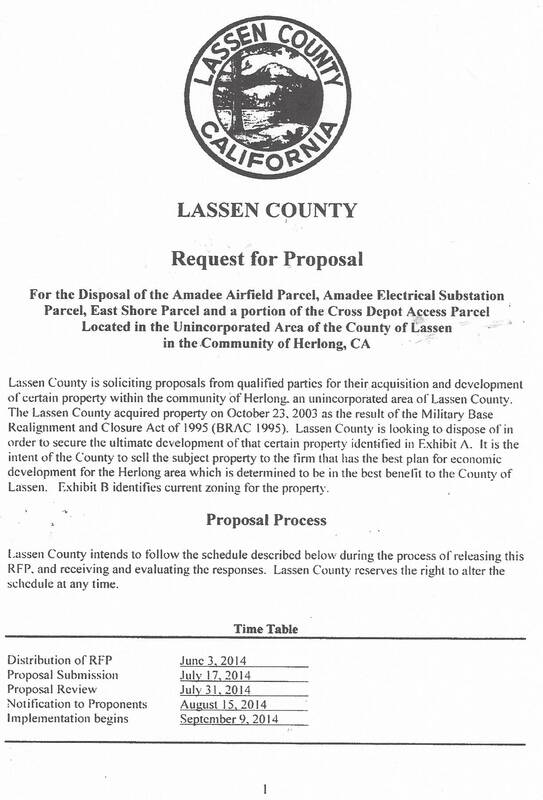 On March 18, 2014 the Lassen County Supervisors instructed the County Administrator to order a Title Company to prepare a Preliminary Draft of the property for sale in the RFP. No such "PRELIMINARY DRAFT HAS BEEN DISCLOSED AS OF MAY 13, 2014. 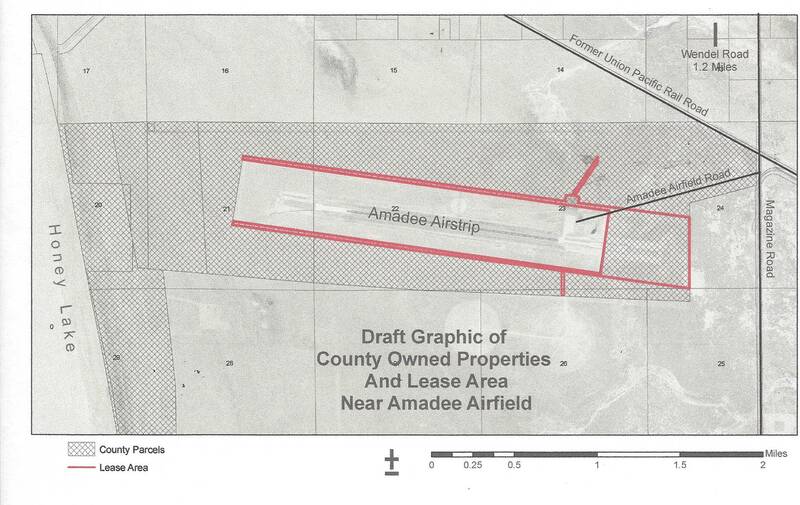 "Amedee Army Airfield Marketing Feasibility Analysis"
" Memorandum on Airfield Marketability Amedee Army Airfield"
County Supervisors represent the property Leased by the Army "FOR SALE"
Supervisor Hammond replied the access is now being controlled by Army Military Police. 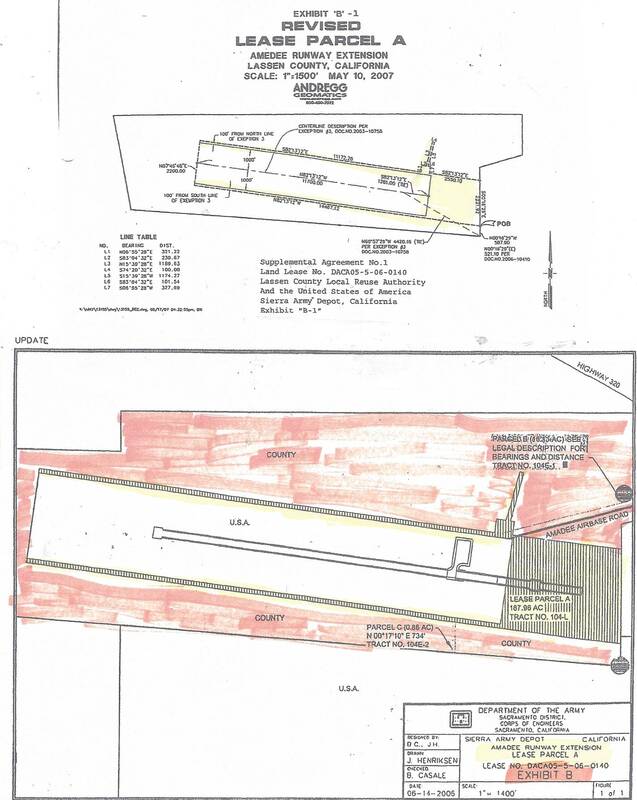 The Army has a 50 year lease with the County for the Amedee Airfield extension with the option of an additional 50 year lease. 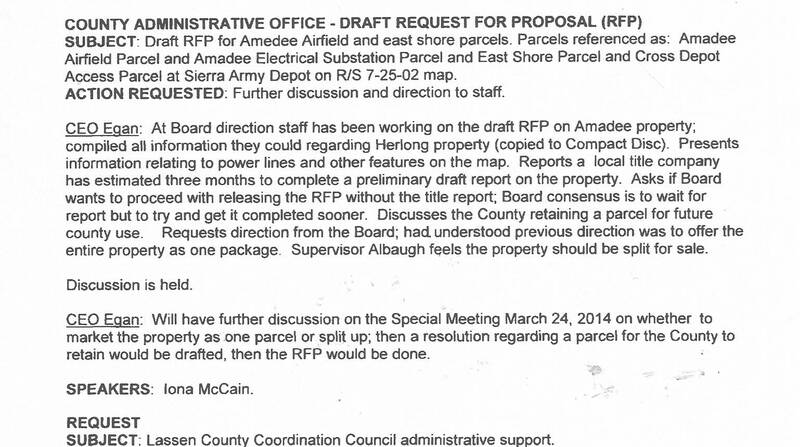 The Army must approve the use if the County sells the property surrounding the Federal airstrip. 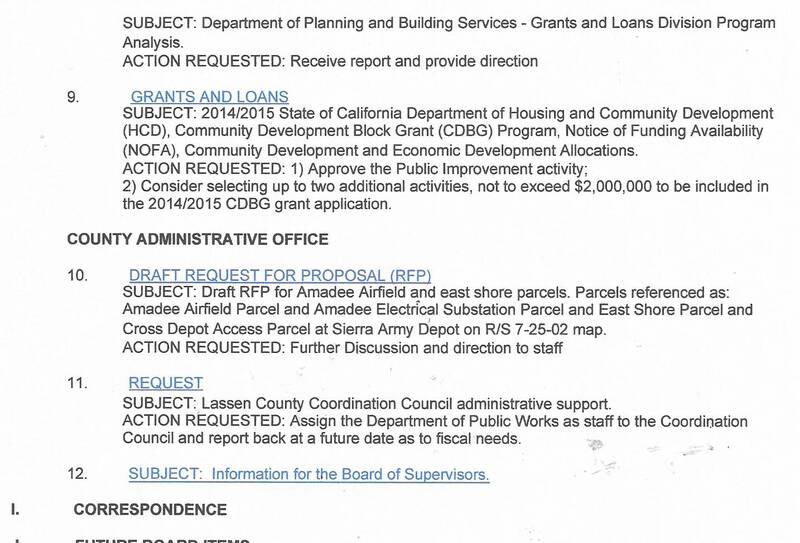 Lassen County cannot SELL the leased area highlighted in blue above. 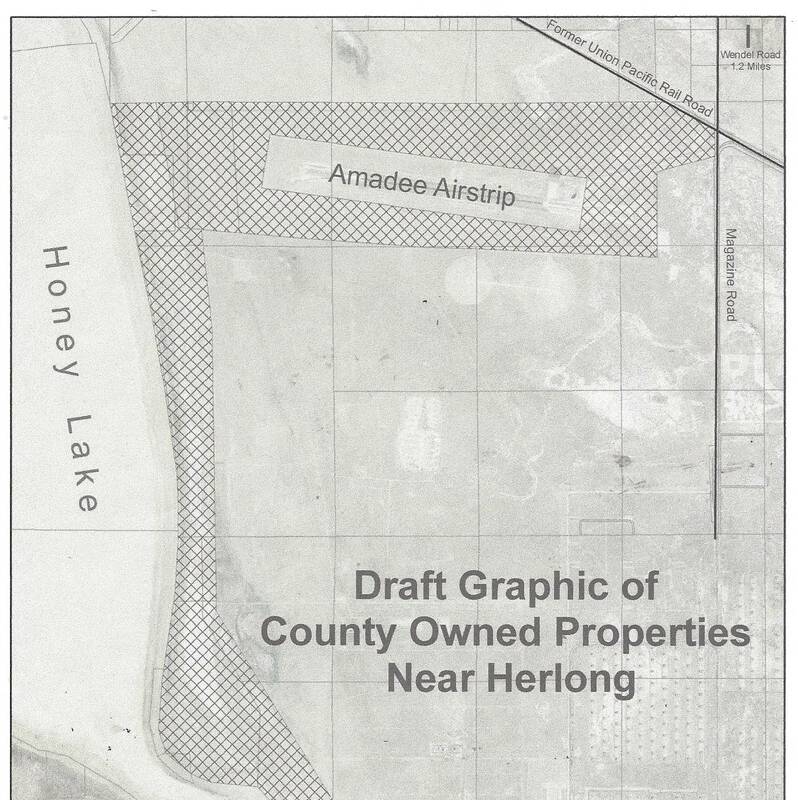 The hand out for the DRAFT RFP Amedee Airfield property was not included on the County's website and a notice was issued that the handout would be available at the March 18, 2014 Board of Supervisors meeting. 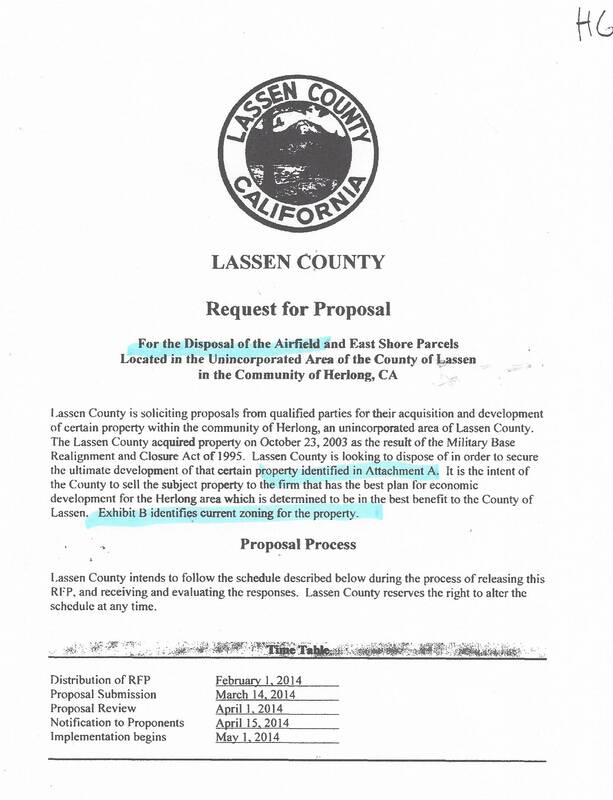 Lassen County cannot sell the airfield. 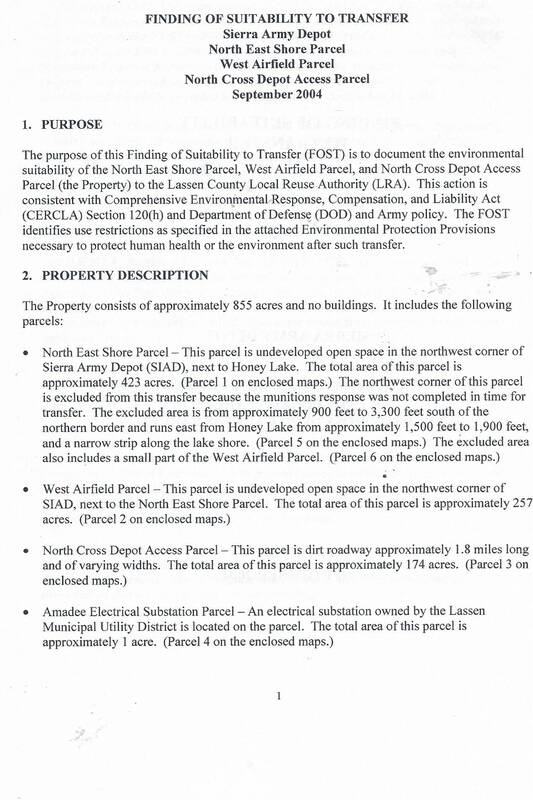 Presently the Army owns the airfield and can only dispose of it to another Federal agency. 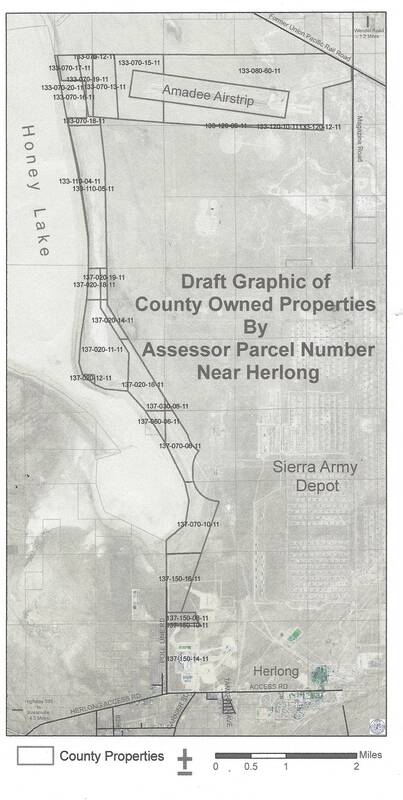 The army gave the new southeastern new extension to Lassen County but signed a 50 year lease with another 50 year option. 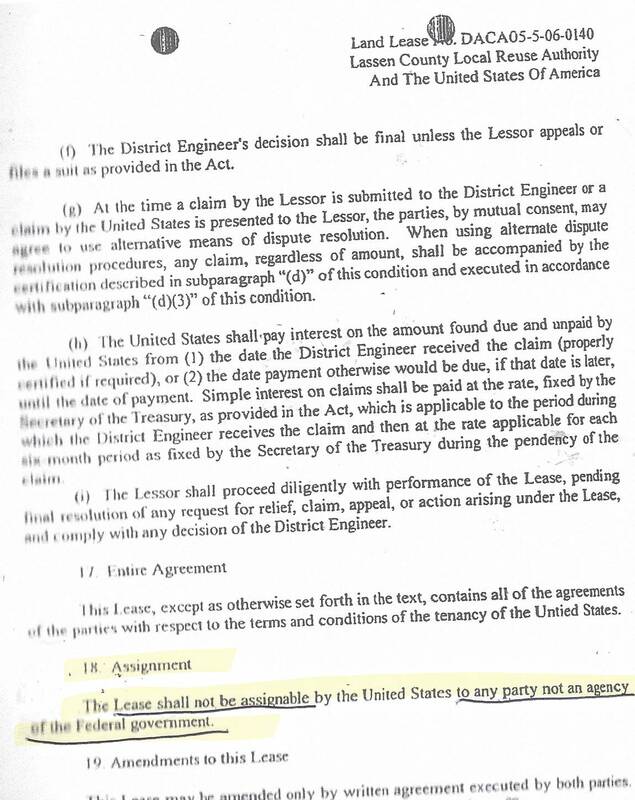 The Army would agree to give up their lease but must approve a new Lessee. The Army has also stated that this would be highly unlikely to occur. 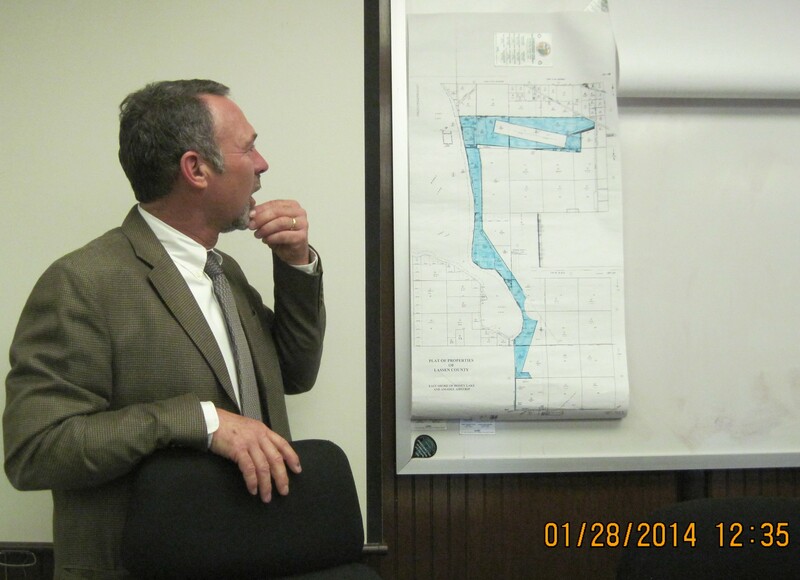 Interim CAO Richard Egan shows the public the actual property the Supervisors want to sell. 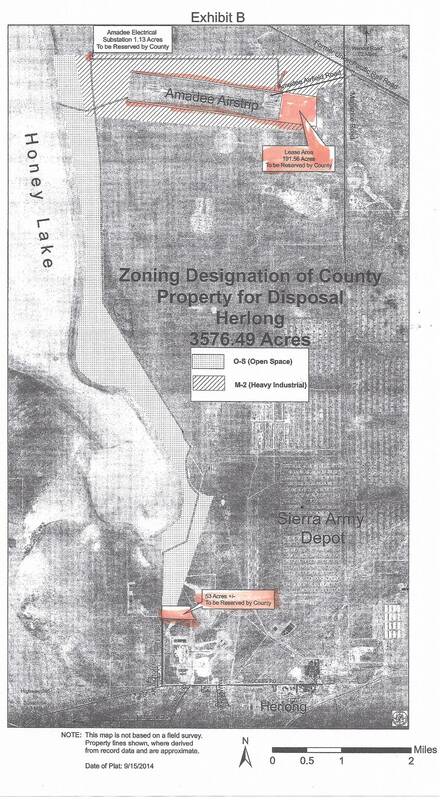 The property (marked in blue) is worthless without the Army's Airfield, which the County does not own. 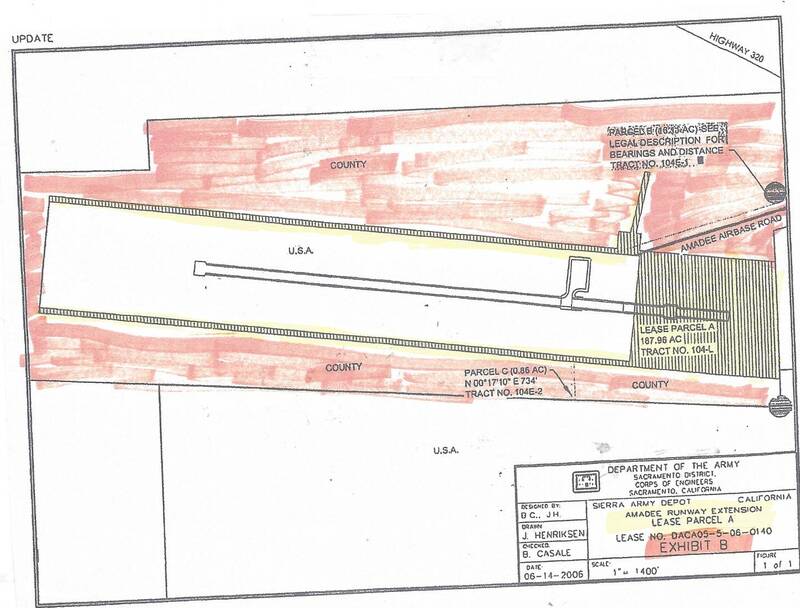 The 50 year Lease of the southeastern portion of the airfield, also cannot be sold by the County but is represented in the RFP as "part of the sale"